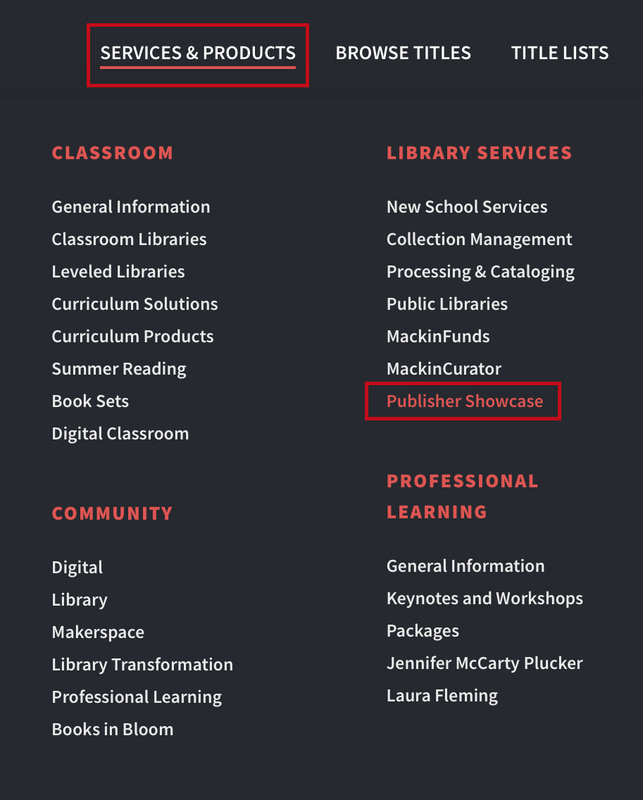 Mackin’s in-house librarians and development specialists have prepared thousands of library- and classroom-related lists and organized them on Mackin.com. To access these, log into Mackin.com and go to Title Lists > Search All. Search through our custom database by entering keyword(s) in the Quick List Search field or select a topic of interest from our extensive menu and begin exploring the subtopics and corresponding lists. 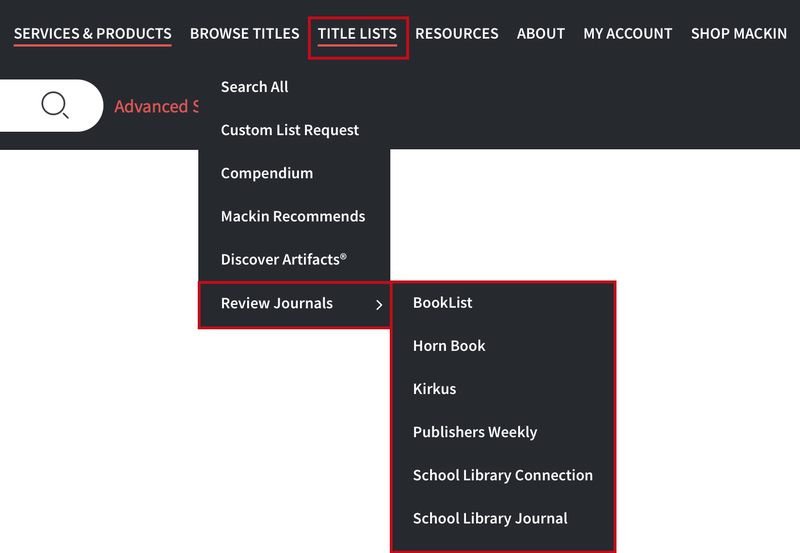 A breadcrumb menu at the top of each page will let you know where you are within the Mackin Title Lists database. Read more about a list by clicking on the info symbol next to its name. A pop-up window will appear with more information. To copy all the titles of a prepared list to one of your lists, make sure you select the list you wish to transfer the titles to by clicking on your Shopping Cart and selecting Change List. Select a List from the menu in the pop-up window. Upon request, our master librarians will provide custom lists to meet your exact needs, complete with review sources, reading levels, and annotations. 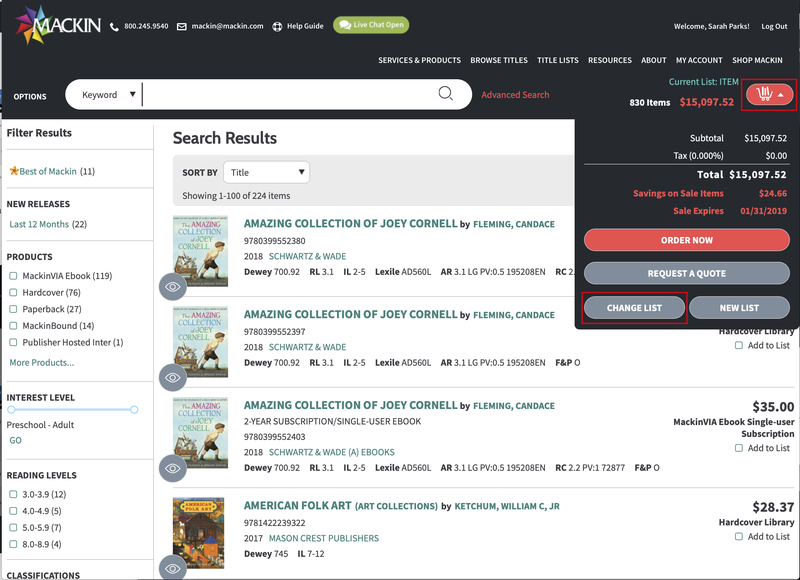 Working with more than 18,000 publishers allows us to find the best and most appropriate titles for your unique collection, including digital resources. 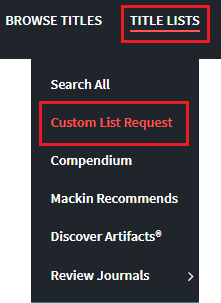 There are three ways to navigate to the Custom List Request Form after logging into Mackin.com. 1. Go to Title Lists > Custom List Request. 3. 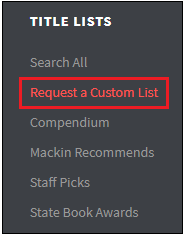 Click on the Request a Custom List link at the bottom of any page. Once you’re in the Custom List Request Form, read through and fill out the five sections. Once the form is complete, click the Submit button at the bottom of the last page. Mackin Compendium is a professionally compiled collection of the “Best of the Best” PK-12 age-appropriate, starred reviewed titles. All selections have been culled from the highly acclaimed review sources listed below and placed in one convenient location for you to make the very best selections for your libraries and students. No need to comb through all the journals, Mackin’s master-degreed professional collection development librarians have done the work for you. 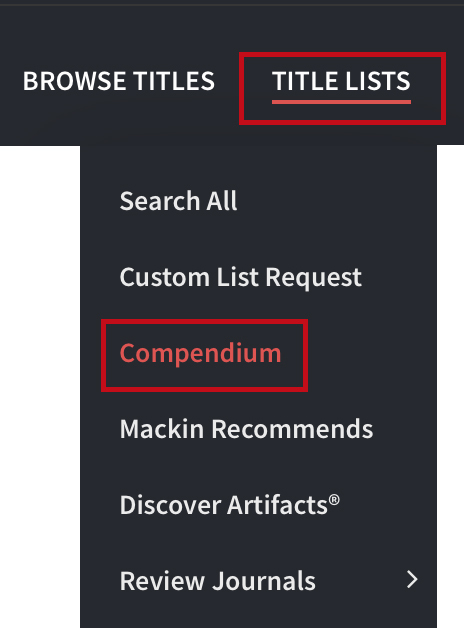 On the Home page, go to Title Lists > Compendium for more information. Our professional Collection Development team of librarians is proud to introduce this customer-first service. In addition to the titles with starred reviews on our Compendium lists, these new books are also highly recommended for use in your library or classroom.Only a small percentage of books published each year are reviewed in the major book review journals, and only a small percentage of those titles receive stars. 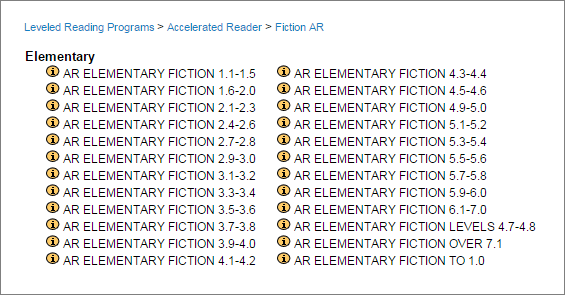 Our Mackin librarians research beyond the stars, reading advance reader’s copies and reviews to find more high-quality fiction and nonfiction for all grade levels. Our selection criteria include how popular a title will be with students, if the title can be used in the curriculum, what other reviewers are saying about the book, and if the writing and format are of the highest quality.For additional information, please contact our Collection Development department at 800.245.9540 or email caps@mackin.com. Mackin currently offers titles in over 100 languages, including Spanish, Russian, Chinese, French and Arabic. Our Spanish and Spanish/English language database is particularly expansive. If you need world language titles, our development specialists can compose a custom title list specific to your school’s needs. Publisher Showcase is a quick and easy way for you to see the newest and most popular series and titles from some of your favorite publishers. It’s all part of Mackin.com, so you can create and submit an order within minutes. 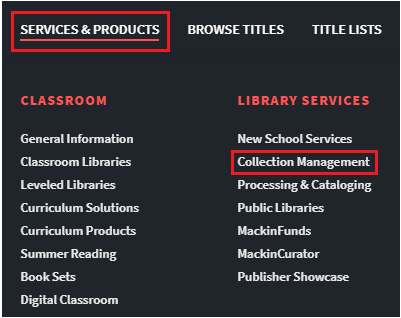 You may explore lists of series and titles on the Home page by selecting Services & Products > Library Services > Publisher Showcase from the main menu. Check back often because new publishers, titles and series are continually added! 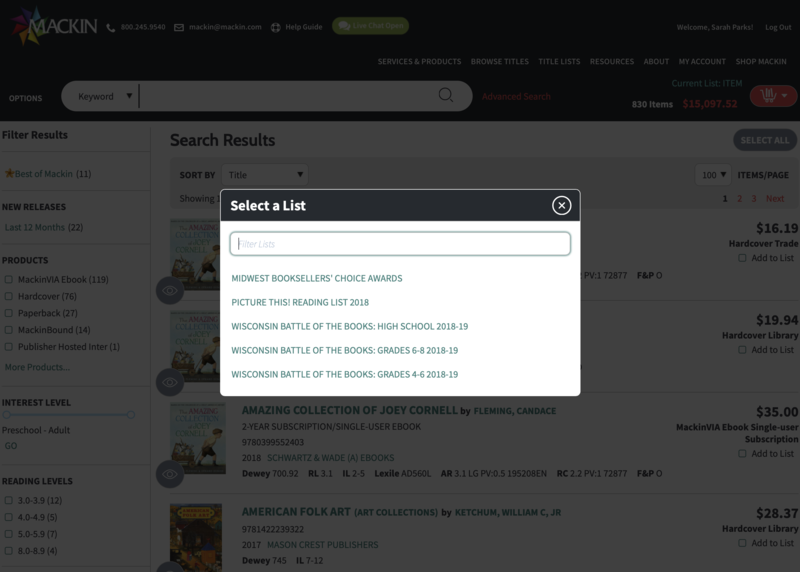 Now you can explore lists of titles reviewed in Booklook, Horn Book, Kirkus, Publishers Weekly, School Library Connection, and School Library Journal. Read full reviews, refine your list any way you like, and quickly place an order. We hope you enjoy this free service. 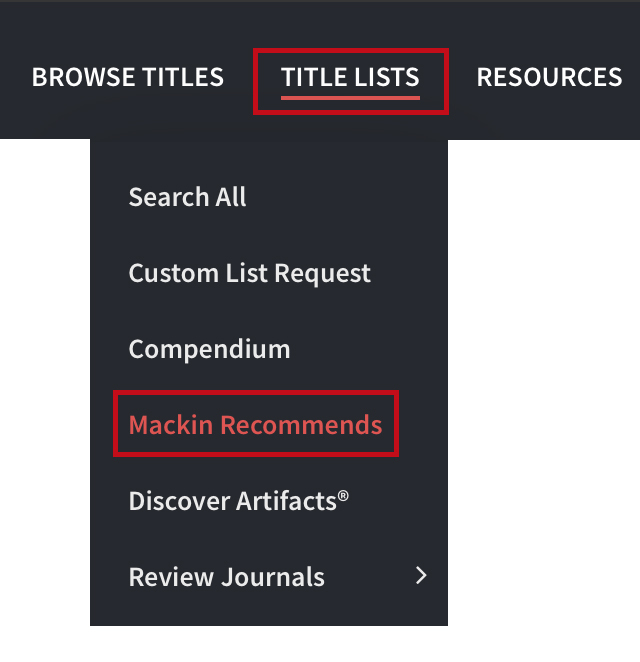 Log into Mackin.com, navigate to Title Lists > Review Journals and select which publication you would like to read.